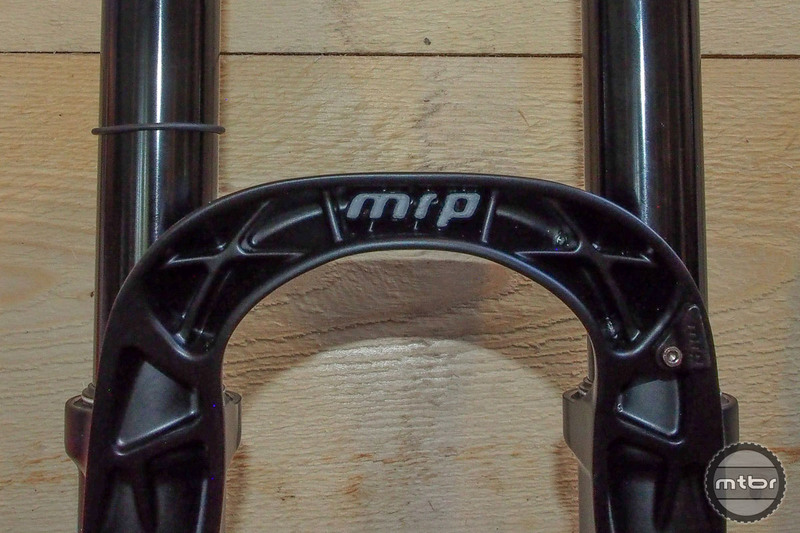 MRP’s new Ribbon fork adds some unique features while carrying over the performance that has gained this Colorado company a cult following. By now you’ve probably seen a video demonstration. In an effort to get maximum performance out of a fork, savvy riders and/or mechanics take a small zip tie and wedge it into the lower, burping air that can build up due to changes in altitude (think a bag of potato chips). Well, now you don’t need the zip tie. A pair of built-in pressure relief valves are just one of the cool features on MRP’s new boost-spacing-ready Ribbon enduro/all-mountain suspension fork that comes in travel lengths from 120mm to 170mm for 27.5, 27.5+, and 29. Simply depress the pair of small buttons on the back of the fork to assure there’s no excess air impeding the fork’s performance. No more zip ties required for bleeding out unwanted air pressure in the lower. The Ribbon also has what MRP is calling an outcast arch design, where the weight-saving lattice section of the fork’s arch faces forward, meaning less mud (and extra weight) build up on those sloppy riding days. This will increase the overall life of the fork, because you’ll have less grit and grime dripping down toward your fork’s internals every time you give your bike a bath. No this arch is not backwards. It was flipped around on purpose to help alleviate mud build up. Other highlights include a bladder free damper, boost 15x110mm spacing, and new low friction seals that are claimed to reduce friction by 28% compared to MRP’s popular Stage fork, which stays in the line for now to fill the gap for riders who’ve yet to make the jump to a boost set-up. Stanchion diameter also increases from 34mm to 35mm, and MRP added material around the steer tube/crown connection to increase overall stiffness. Fork adjustment settings include an 8-position compression knob, 16-position ramp control, positive and negative air spring, and rebound. 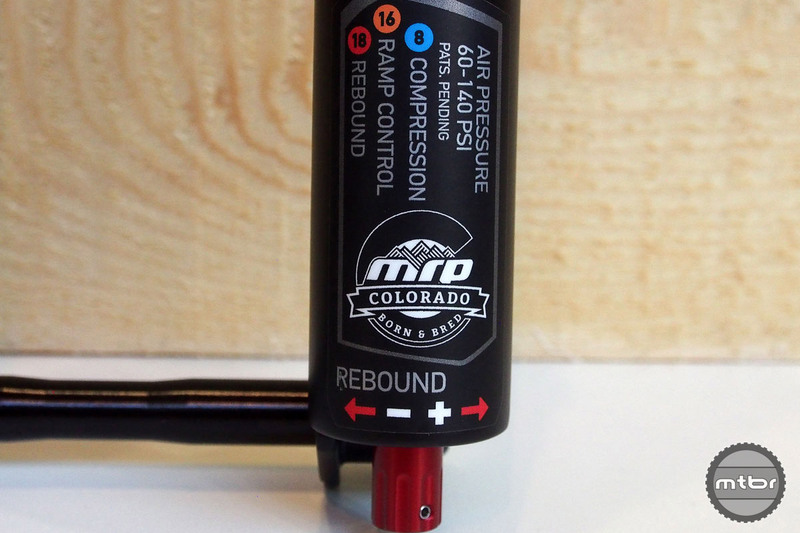 By having a dual air chamber, riders can independently adjust air pressures for positive and negative to allow the fork to be stiffer or more plush off the top than with a solo air spring. So for instance if you want a little softer add 5psi into the negative air chamber. 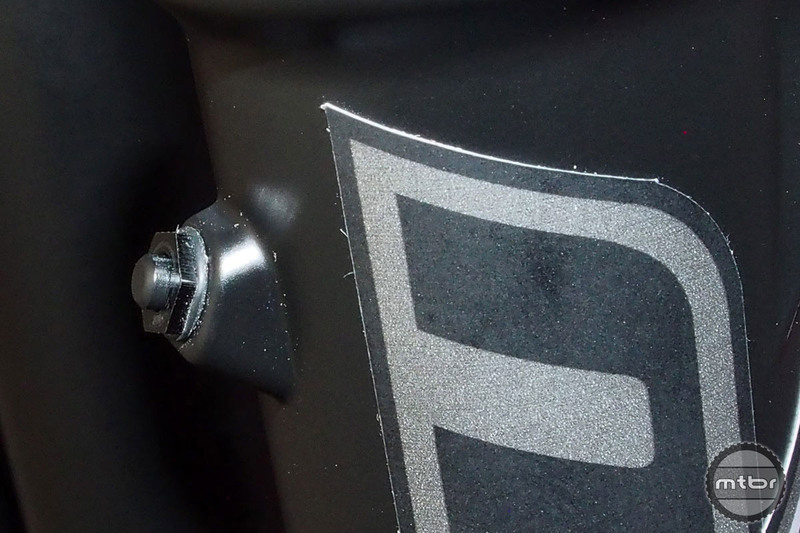 The new Ribbon fork has loads of adjustability. Wheel attachment options are standard QR thru-axle or tooled bolt-on, which cuts about 25 grams and delivers a cleaner look. Just remember to bring the right tool in case you get a flat. Max tire clearance is 27.5×3.0 or 29×2.6 for the bigger wheeled option, and 2.6 for the standard 27.5 fork, and MRP will continue to offer a variety of decals to match your bike. Claimed weight is 1860 grams. 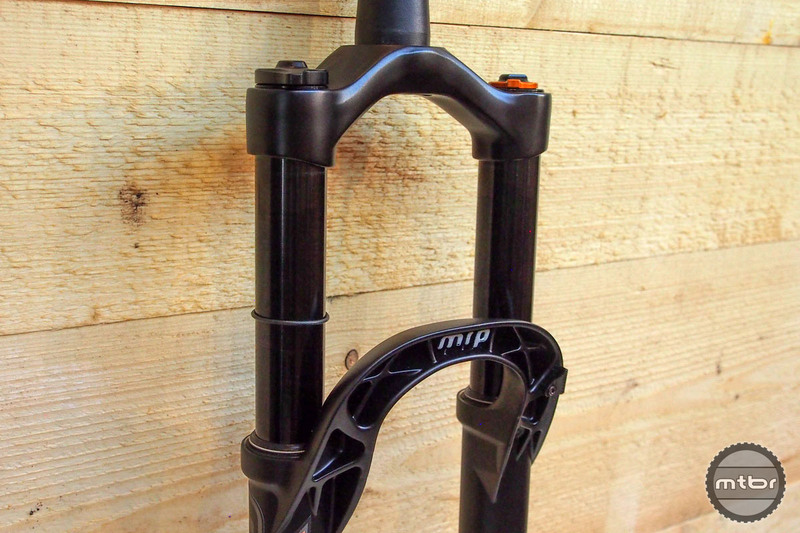 Price for the MRP Ribbon fork is $989 with availability set for December. I’ve been telling RockShox and Fox to reverse the casting on the fork arch for years. Good job MRP. Next time I am fork shopping I will take a look at MRP.